Experts have warned UK airspace is becoming 'exceptionally overcrowded' ahead of what was expected to be the busiest-ever day for air traffic controllers. The summer season gets under way on Friday with some 8,800 planes to be handled by air traffic controllers in a single day. Before taking a flight people should arrange travel insurance. Experts say the whole summer season will see the number of flights handled rise by 40,000 on the same period in 2016. The chief executive of the National Air Traffic Service, Martin Rolfe, warned that the UK is "approaching the limit of what the skies can handle." He explained: "The routes we currently have in place are becoming exceptionally crowded, and on the busiest days we sometimes have to reroute aircraft to make sure we can get everybody to their destinations on time." 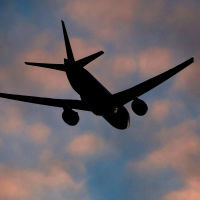 Airports have been planning for the summer season over the past months, looking at many different issues, Mr Rolfe told BBC Radio 4's Today programme. "We start more than a year in advance planning where the aircraft are going to be, looking at the schedules, working with the airlines and working with air traffic controllers to make sure we have a plan we can execute safely."